Climate change is an issue not often talked about at churches, and has been absent during the presidential debates between President Barack Obama and GOP candidate Mitt Romney. An evangelical group is arguing, however, that Christians cannot love God if they do not care for His creation, which the group says is in great peril. "I understand that there are many important issues that we care about, that I care about – not just the climate crisis. But the climate crisis is one that is particularly urgent, and I believe that as Christians we have a strong moral and spiritual case for caring for and acting on it," Ben Lowe, a spokesman for Young Evangelicals for Climate Action, said in a phone interview with The Christian Post. His organization, formed in Feb. 2012, presents the climate change issue from a Christian perspective, stating that it is part of their Christian discipleship and witness to promote action on the environmental challenges facing the planet. "When Jesus was asked what the greatest commandment is, he said to love God with all your heart, soul, mind and strength, and to love your neighbor as you love yourself. And I don't believe it is possible for us to love God with all our heart, soul mind and strength unless we also care about what is going on in His creation, and the climate crisis is having a very serious negative impact on all of God's creation." The Young Evangelicals for Climate Action group gathered outside Hofstra University during the second presidential debate on Oct. 16 to pray for more discussion focused on the growing threat of climate change, but that debate, along with the third and final one, passed without any real talk on the issue. "We heard a good bit about green energy and energy as a whole, but there was nothing said about the climate crisis, and that's disappointing for us," Lowe continued. "For me as a young evangelical, this is an issue that I care about when I go to vote. So the fact that neither major candidate running for office of the Unites States is willing to openly address moral challenges that my generation is going to face, that's very disappointing." A March 2012 Gallup poll revealed that 30 percent of Americans worry a great deal about global warming, one of the main issues surrounding climate change. Among party lines, 42 percent of Democrats said the issue is of great importance, compared to only 16 percent of Republicans and 31 percent of Independents who shared that view. Comparing the Obama and Romney campaigns when it comes to their policies affecting climate change, Lowe said that his group does not in any way endorse one candidate over the other – but noted that President Obama had made some steps toward addressing the issue in the four years he has served at the White House. "It's a matter of public record that President Obama has, during the campaign, in a couple of interviews and articles. The President has made significant steps to address the climate crisis, mainly through the EPA (US Environmental Protection Agency) but he has of late not been talking about it." Lowe noted that Gov. Romney, on the other hand, has only publicly spoken once on the climate crisis – when he used the issue as a punchline for a joke during a convention speech. "Clearly, we are looking for much more serious engagement than that," Lowe said. In some aspects, climate change remains a controversial issue, with various reports and statistics pointing to different realities and different degrees of how serious the environmental crisis is. 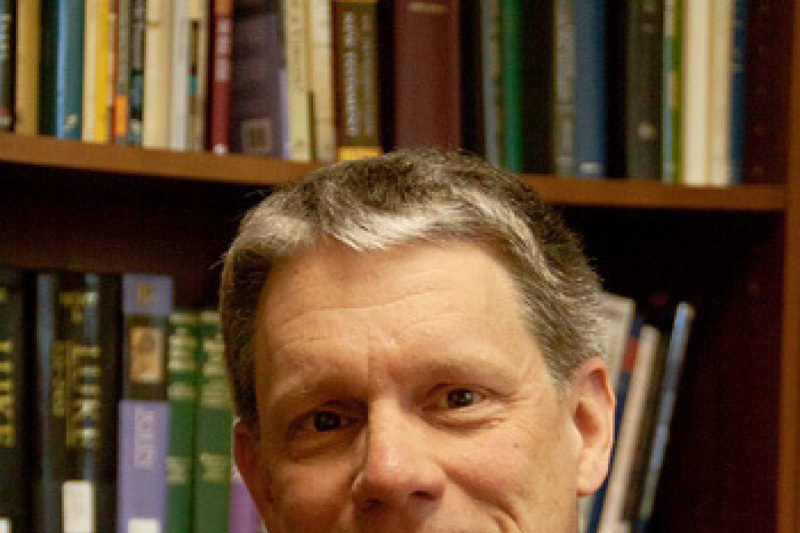 Lowe shared that the material he most often consults in his argument for the climate crisis is the "Loving the Least of These" report by the National Association of Evangelicals, which provides information and tools to the evangelical community to help them "respond to the biblical mandates to care for creation and for the poor." "We know that we need to put a price on carbon pollution. The exact mechanism that we use to achieve that, the policies that we need to use to get there, is something we are open to considering different arguments on – but right now, that is not being discussed at all." A video filmed outside last Tuesday's debate shows the Young Evangelicals for Climate Action's members offering a prayer that begins with Psalm 24:1, which reads: "The earth is the Lord's, and everything in it, the world, and all who live in it."